Breaking Out is Hard to Do ! 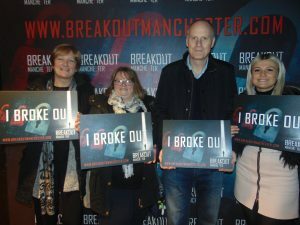 The latest BA night out saw more than 25 of the team attempt to “Break-Out” from the Real Live Escape Room Game located in Manchester. 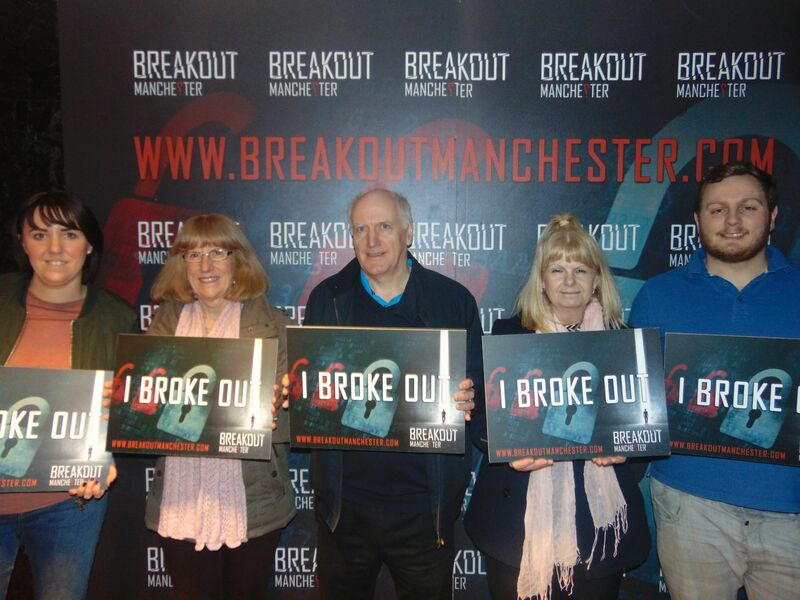 Having been split randomly into teams of 3 to 5 each team was given 60 minutes to escape from a locked room by finding clues and solving a variety of riddles and puzzles. Congratulations go to Philip Riding, Codi Brockley, Stacy Daynes and Lynne Winstanley who managed to go deep behind enemy territory and stop a missile strike in Sabotage and to Mark Pearson, Jen Lawton, Paul Leigh, Sharman Scott and Barbara Warren who managed to slow down a viral outbreak and find the cure to save mankind in Virus. However, with only two of the teams managing to escape many of us were left cursing the clock with too much time wasted at the start of proceedings and on some red herrings thrown in the rooms for good measure. 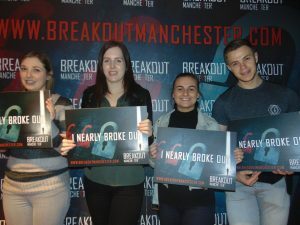 Nathan Turner found that being colour blind can have its pitfalls and for those that didn’t break out there were plenty of hard luck stories and some accusations of cheating – with some coming very close but no cigar! 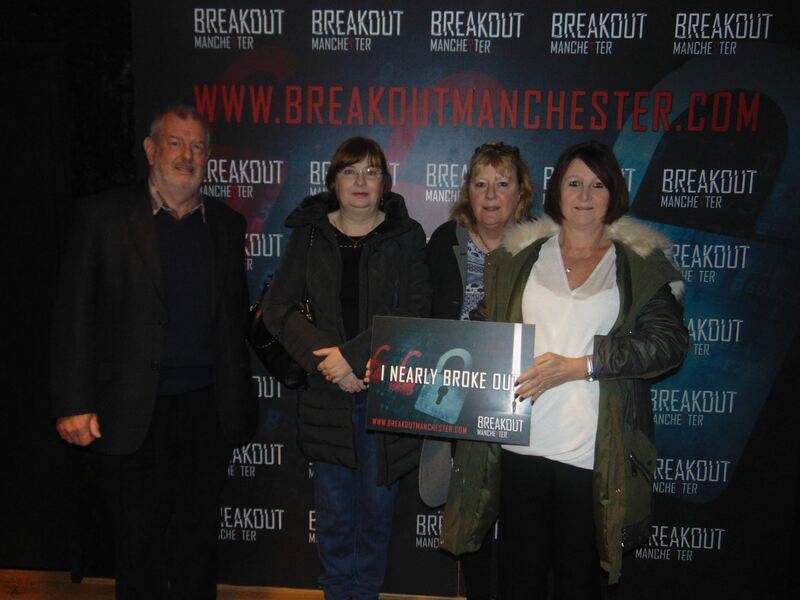 Overall a great night was had by all but unfortunately it would seem that not many of us were blessed with Harry Houdini’s gift for escapism or Sherlock Holmes gift for solving clues but perhaps next time we may have more luck.